We have emerged as a preferred Luxury Bathroom Accessories Manufacturer and Exporter from India. 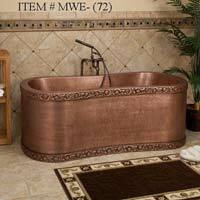 Luxury Bathroom Accessories such as Copper Bath Tub and Metal Bathroom Sets are made available by us in the market. Designed to perfection, the Luxury Bathroom Accessories have an opulent feel and designs that catch the eye. 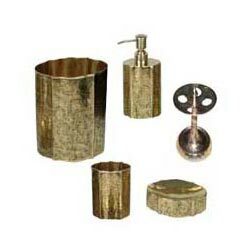 The Luxury Bathroom Accessories give a royal feel to the bathroom and come with antique finish. Availability of the Luxury Bathroom Accessories in various designs and sizes has added on to their demand.